Giving to AOSR means investing in our students' lives now, but also in their futures. Make a gift. Make the difference. Your support will help us continue to reach our goals and to maintain the exceptionally high standards we have for our faculty, staff, and facilities. Your gifts also allow us to keep class sizes small and provide more individualized attention to students, continue to enhance our sports, art, and technology programs, as well as to offer professional development opportunities to attract and retain outstanding faculty from around the world. Supporting AOSR means making a lasting impact on a community that you and your family will always be an integral part of, and we are infinitely grateful to donors who create exciting opportunities and formative experiences for students now and for years to come. At AOSR, we know that every contribution, large or small, makes a tangible difference. A donation to our school is one that will have an immediate positive impact on the student experience and will also reinforce the spirit of generosity and involvement in learning that our community members exemplify every day. How will your donation help the future of AOSR? A donation from you, means helping us be able to construct new spaces for our students and provide the tools that they will need to “courageously meet the demands of a changing world”. 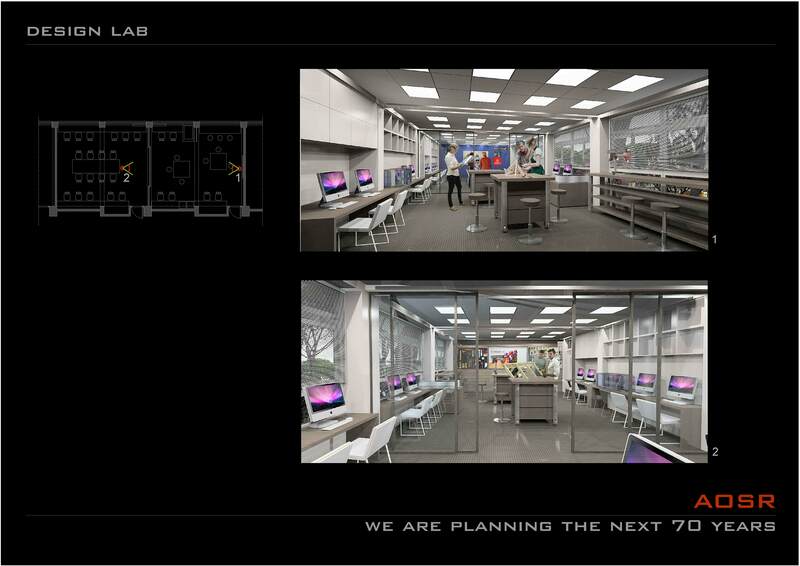 This summer we constructed the first of these new spaces: the AOSR Design Lab. 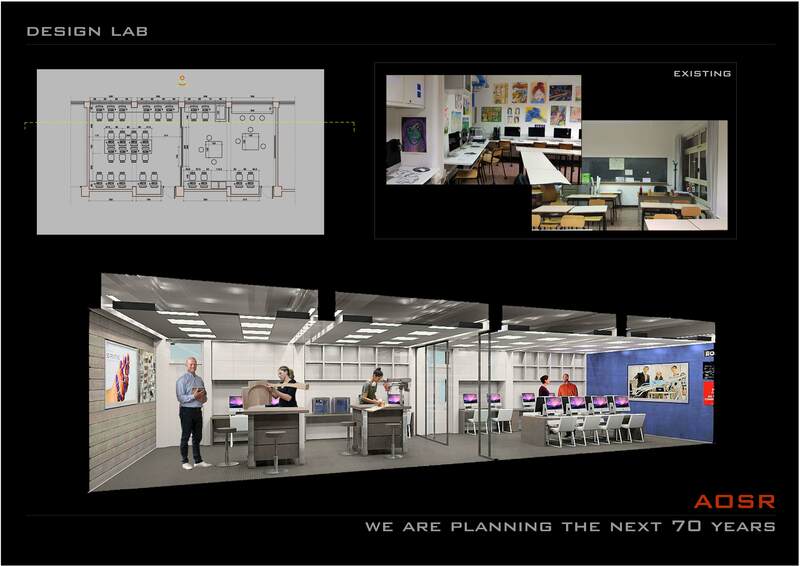 The Design Lab is a space in which students can identify problems and begin to explore solutions by using Design Thinking. 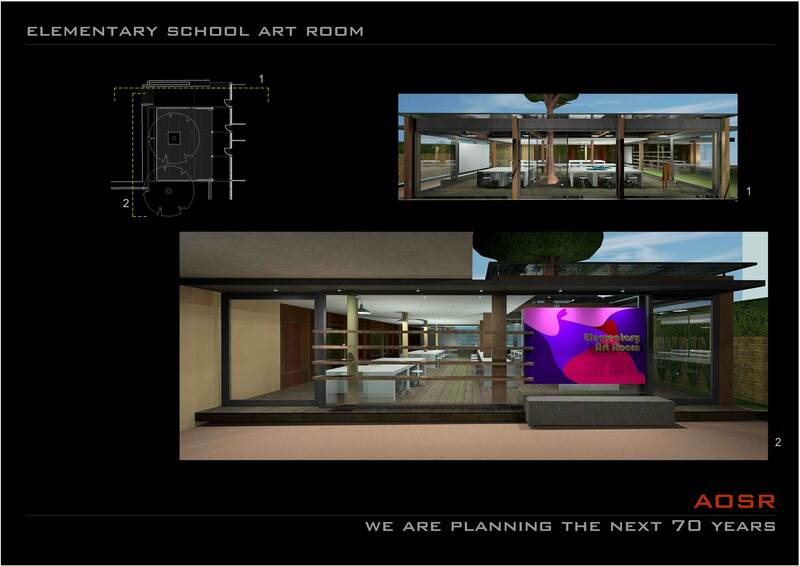 It is a space brimming with trial and error, inquiry and implementation and consequently, with resilient students! Tools from hammers and nails to laser cutters and 3-D printers help students create models with which to test their theories. Spaces such as these truly engage and inspire our students and beautifully reflect our Mission. 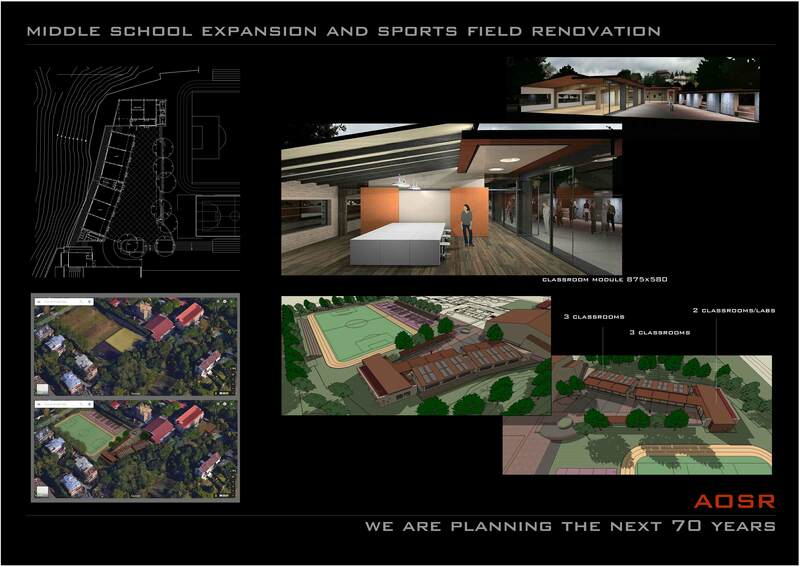 We are also working to renovate the elementary school art room, our sports fields, and expand the space for our middle school classrooms. With your help in donating, we can successfully move forward with creating spaces which will continue to help foster learning and growth. We believe that expanding and enhancing the space for students at AOSR, will maximize their potential to think critically, cultivate creativity, and overall succeed academically. Your donation to the AOSR community will help us actualize our vision for the future 70 years of AOSR.